Follow every bit of the most exciting creative event Houston has ever seen! Get inspired, spread the word and come to The Galleria to view the artist drawing the skyline live! 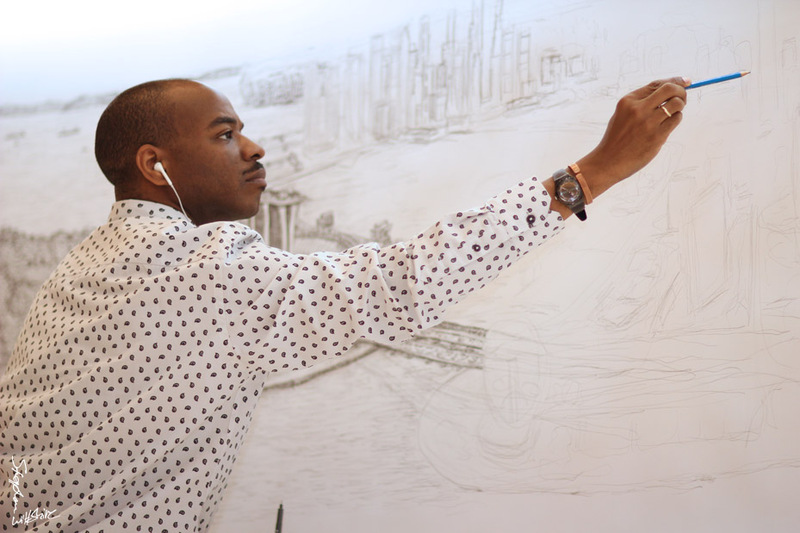 Sign up to Elevate Houston's newsletter and be among the first to find out about Stephen Wiltshire's debut in Houston! The Stephen Wiltshire Gallery Ltd. is registered in England and Wales. Our address is 5 Royal Opera Arcade, Pall Mall, London, SW1Y 4UY, UK. Company no. : 5695835, VAT: GB 856794955.